Wednesdays, June 26, July 17, 2013 | 5 p.m.
Saturdays, July 13, July 20, 2013 | 11 a.m.
Check-in and pickup at the Visitor Center. Leave the grown-ups behind and go on a plant adventure through the Native Flora Garden and its brand-new bog and meadow. Uncover the creepy, carnivorous plants that inhabit our native bogs, and then venture into the forest to discover the amazing smells and secrets of the plants that Native Americans and pioneers depended on to survive. Free with Garden admission; must preregister online. Open to kids 9 to 12 years old only. 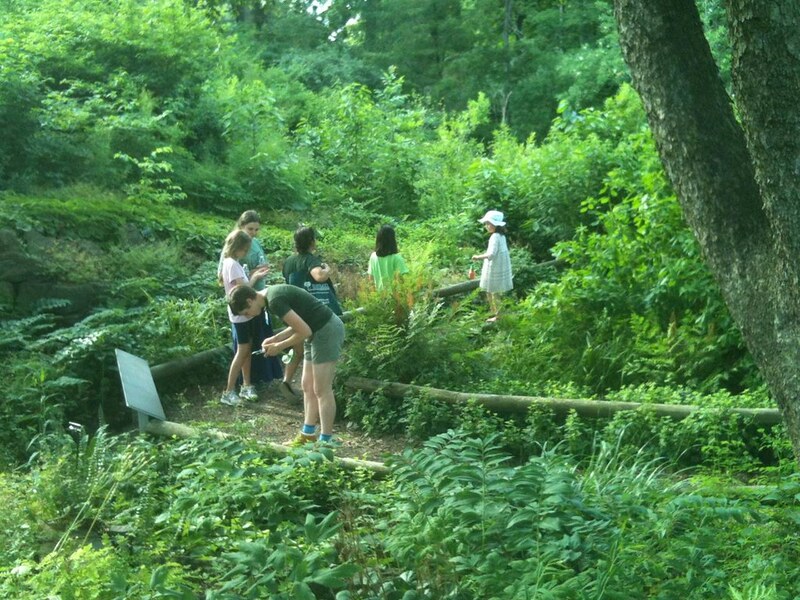 Young botanists check out the secret uses of native plants on BBG's Wild Side Discovery Walkabout for Tweens. Photo by Ashley Gamell.